You can take your avocado in numerous delicious ways, whether on toast—perhaps in a simple recipe à la Drew Barrymore—in a smoothie, or straight up (can’t go wrong). Whichever dish you go for, you’re getting in those skin-and-gut-boosting healthy fats and doing your body good. 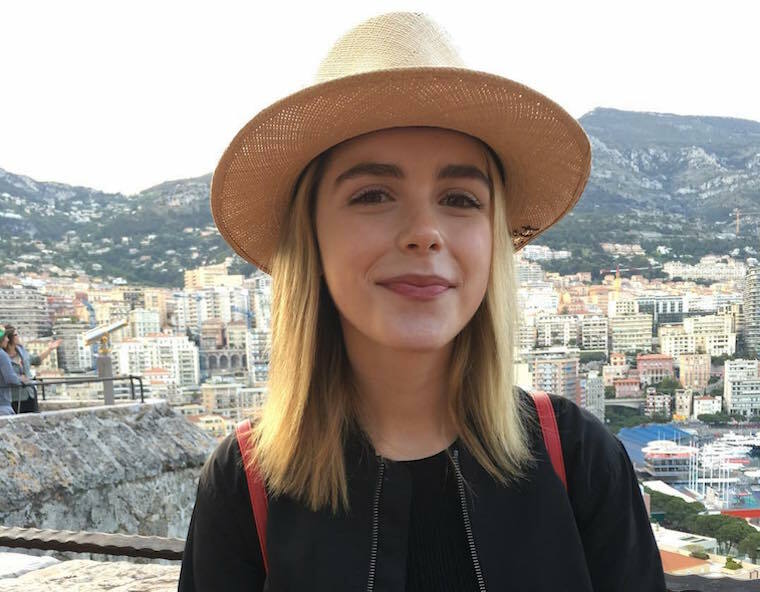 Kiernan Shipka is a self-professed lover of the green fruit and has her own personal way of devouring her omega-3s: in a savory grain bowl. One glance at the Mad Men actress’ Instagram will prove her addiction, as heart-eye inducing brunch photos showcasing with the nutritious food are sprinkled all over her feed. Though Shipka’s regularly chowing down on picture-perfect avocado dishes, one in particular stands out as a go-to. Though Shipka’s regularly chowing down on picture-perfect avocado dishes, one in particular stands out as a go-to: the sorrel pesto rice bowl at buzzy Los Angeles-based restaurant Sqirl (which shared its recipe with W+G). “My one and only,” writes Shipka in one of her captions. (She’s also captioned her avo rice bowl with gems like “You never get old, do you?” and “Shaking things up.”) Of course, she also celebrated National Avocado Day (which was yesterday) by eating the dish. Clearly she’s a devoted fan. Shipka does add her own touch to the bowl, however. The pesto brown rice bowl with feta, a poached egg, and watermelon radish typically comes with lacto-fermented hot sauce, which it looks like she isn’t a fan of. And—coincidentally—avocado doesn’t come as a standard with the dish. So Shipka orders that as an extra on her own. A girl after our own (healthy fat-powered) heart. Speaking of which, this is how much you should actually be paying for your avocado toast. On the other hand, if you’ve never been a fan, here’s how to know if the fave fruit is actually causing some of your gut-health issues.